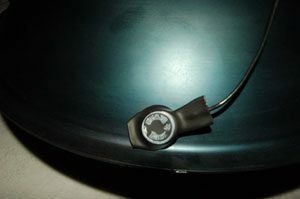 A pick up system specially developed to perfectly enhance the magical sound of our handpan. For a long time we had been experimenting with diverse microphones and pick ups, until we finally found the perfect balance. 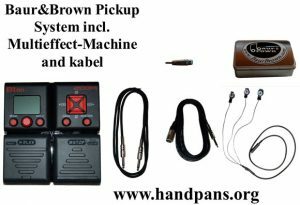 Our pick up system amplifies the sound cleanly and undistorted. 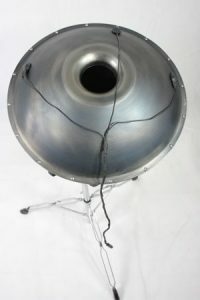 Assembly only takes approximately 20 seconds and works entirely without gluing, drilling or anything else that could possibly damage your handpan and being magnetic, they can be removed at any time. 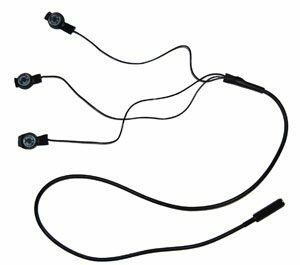 The pick up is provided with a 6,3mm jack socket. 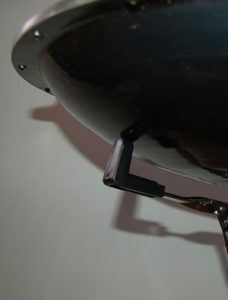 The pick ups cling onto the surface of the handpan without leaving residue. Simply connect it to an amplifier and it's ready to go. 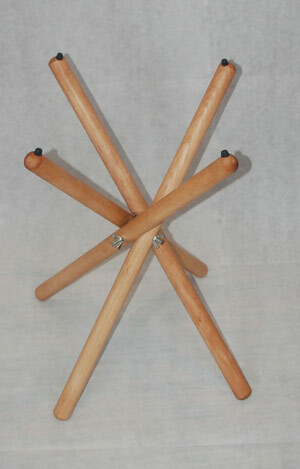 Ideal for playing together with louder instruments. You can connect your handpan to any possible effects units, e.g. reverb, flanger, distortion or wah-wah. You can also use a loop station to record your own basic rhythms to improvise on. 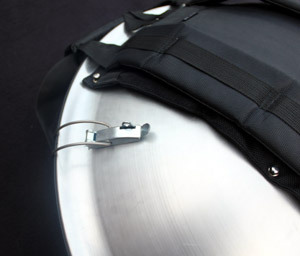 Our pick up system offers a handpan a new, broader horizon. Should our pick up system not suit your purpose, you can send it back to us and we will refund you the full price! We're offering a complete set. 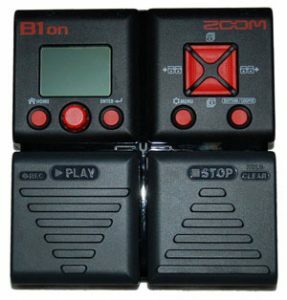 - built-in loop station making it possible to record short sequences and replay them to improvise on. The great thing about the Baur&Brown pick up system is that it is extremely easily and quickly assembled. The pick ups enhance and modify the wonderful sound of a handpan in a very high quality. Ideal to amplify a handpan on a large stage without notable feedback. The included effect unit gives your handpan a whole new sound spectrum and it is incredibly fun to play with. Jimi Hendrix is alive and he is now playing handpan! 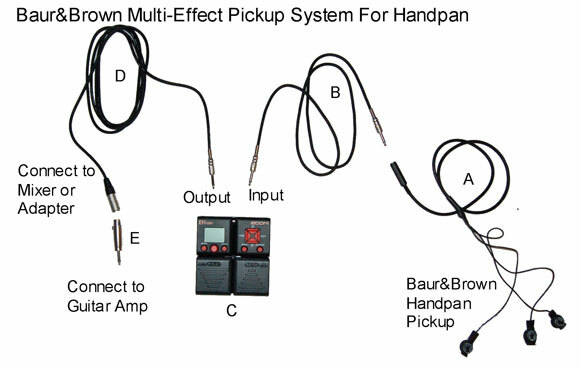 The complete set is shipped with all the neccessary cables to directly connect the handpan and the effects unit to an amplifier, a mixer or a recording device. What makes our handpan stand special is that it is actually designed for handpans and therefore your handpan is safe and sound when placed upon it. 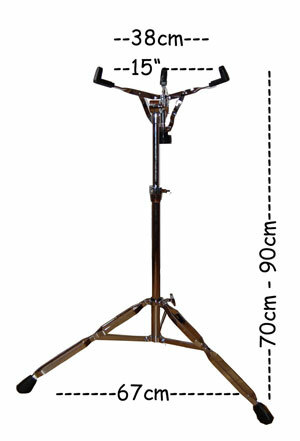 Due to its height of 90cm plus the height of the handpan it enables a comfortable playing experience even while standing. The handpan is simply placed on top and because of the extra thick rubber mounts it rests safely, and the sound quality is not diminished. 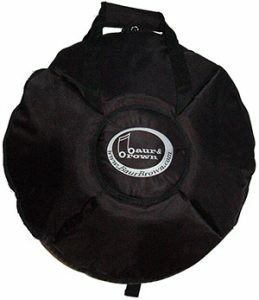 Here we offer a soft case for our Handpan. 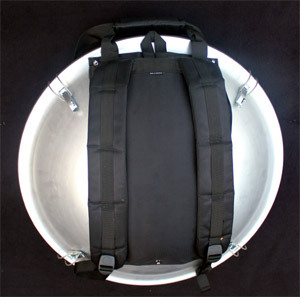 The cases is suitable for a Handpan with a diameter of 54cm. Of course the cases not only fit our Baur&Brown Handpans but also other similar sized handpans, it's best to measure your handpan beforehand. 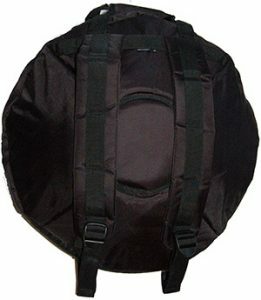 The cases are made of robust nylon and have a 1,5 cm thick padding so that your Handpan is always warm and dry and arrives at its destination with the best tuning. A convenient backpack carrying system that is adjustable guarantees a good fit on the back with high wearing comfort. An additional handle is also included. The cases are water resistant. It has been a long journey perfecting our flight/transport case. 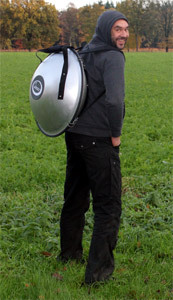 The case is constructed of 2mm aluminium so that you can be sure your Handpan will arrive at its destination safe and in tune. The case is made up of two half-shells, connected together with 4 strong clips and made watertight using a rubber rim system we borrowed from the motor industry. It is easily carried using the integrated backpack system or the handle. 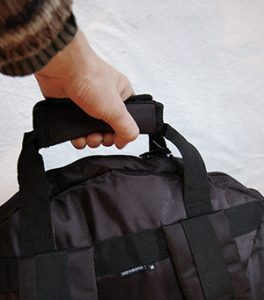 It is easily carried using the integrated backpack system or the handle. 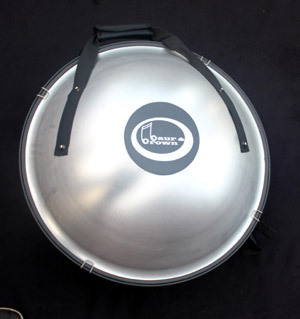 Most Handpan models will fit inside and definately, the Baur&Brown Handpans. 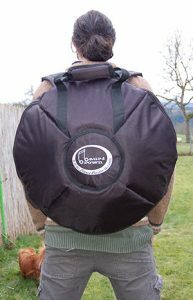 The hardcase is padded wih 2 cm thick foam rubber – we can also offer 3 cm foam rubber should your handpan be smaller sized. 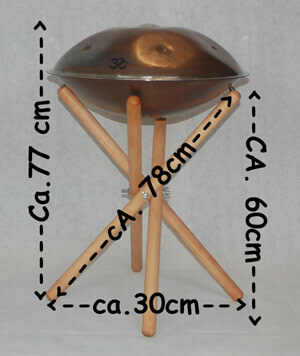 Here we can offer you an attractive wooden stand for your handpan. 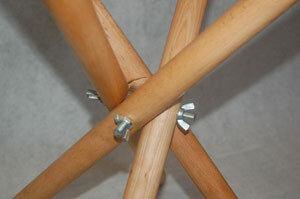 The stands, designed for playing sitting down, are built in our workshop in Germany. 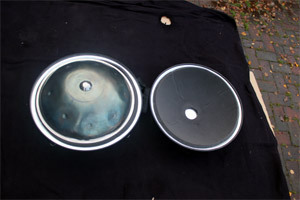 Rubber washers protect the handpan from slipping or scratches.